Andrew Cottrell Artworks: Can I Join In? Gallery > Large Box Canvas > Can I Join In? 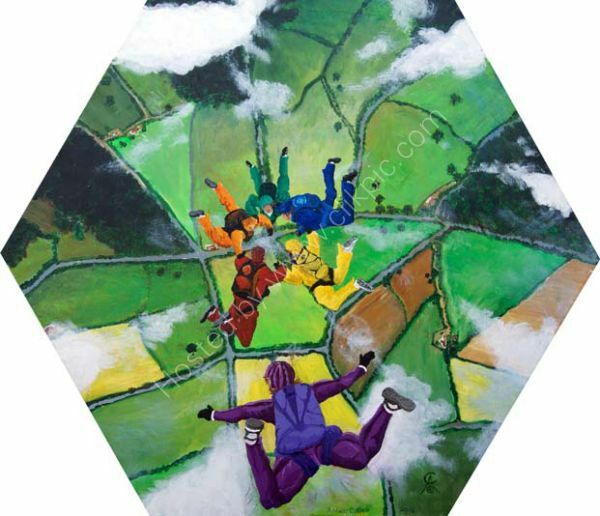 Hexagonal Box Canvas Depicting a sky diving crew with a late entrant!